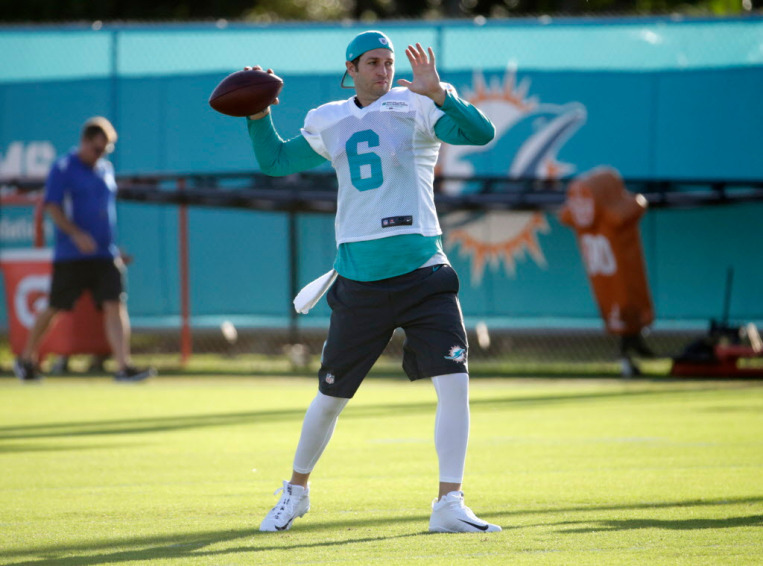 After a devastating knee injury in training camp to quarterback Ryan Tannehill ended his 2017-18 NFL season prematurely before his first preseason game, the Miami Dolphins faced the tough task of trying to find a replacement as their new starting quarterback. 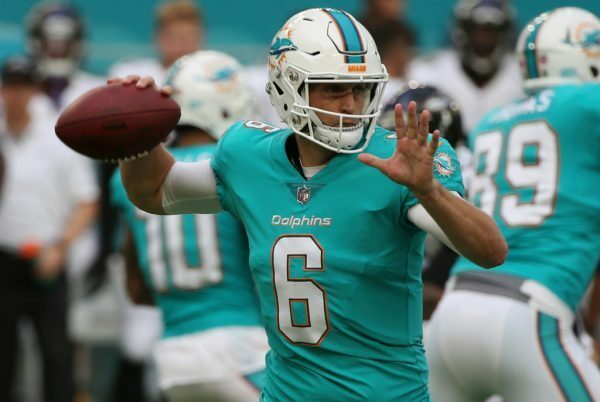 Current backup quarterback Matt Moore was simply not going to cut it as a starter for an entire season, so the Dolphins decided to bring in the previously-retired and former Chicago Bears quarterback Jay Cutler to be at the helm of head coach Adam Gase‘s offense in Miami. Jay Cutler is the definition of a gunslinger when it comes to the quarterback position, as the 34-year-old is known for having one of the strongest arms in the NFL season after season. He can throw the deep ball with ease, but his knack for turning the ball over with inaccurate throws and only a 1-1 career playoff record continue to damage his reputation amongst many NFL fans and the media.